There is probably only one measure of success for major gift fundraising that your board members and even your Executive Director discuss on a routine basis, and that is: How much money will major gift fundraising bring in? It can be deceptive. What if your fundraising goal was $100,000 and you secured that entire amount from a single donor this year? What are the chances that will happen again next year? Do you have any ability to MAKE it happen again—in other words, can you control the outcome? 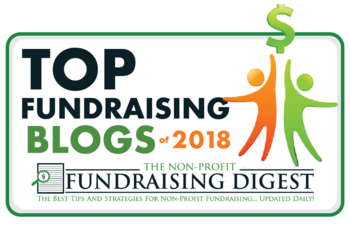 It doesn’t spotlight key elements that will make or break your major gift fundraising over the long term—the breadth of your donor base, the health of your pipeline, the systems you have in place for moves management, and more. I’m not saying you should not track dollars raised. Why it matters: a high number here means that despite all the other tasks on your plate, you are advancing donor relationships and ASKING FOR MONEY. It also might mean that, even if some prospects declined to donate this go around, they may decide to support your organization the next time you ask. Why it matters: doing stewardship well is the easiest way to retain donors and inspire them to give again. Remember, fundraising is a cycle—each phase feeds the next; there’s no end point in sight. Why it matters: growth in this number may mean more money raised. But it can signal other good things too—donors making multiple gifts, donors new to your organization, more lower-level donors increasing their gifts into major gift territory. Number of gifts received is also an indicator of the breadth of your major gifts program. For example, go back to the earlier mention of meeting your $100,000 goal with one gift from a single donor. If you met the same goal with 10 gifts of $10,000 each, one could argue this scenario has your organization better positioned for the future. In other words, with more donors at lesser amounts, you would NOT have all of your eggs in one basket! These 3 metrics put the emphasis on diversification, stewardship and retention. Do these three things well and dollars will follow. You also have complete control over your achievement in the first two metrics—they don’t depend on magic or luck. Communicate with your donors, ask them for money, and stay organized so you can do it all again! What are your favorite metrics for measuring major gift success? Does your organization track KPI year over year? Please share your thoughts or experience in the Comments box below! Special gift for you: Conquer Your Fear of Asking for Money, a step-by-step guide, is available here (click). Kathie Kramer Ryan and Arroyo Fundraising help nonprofit organizations connect with donors. Kathie provides fundraising coaching, mentoring and training for staff and volunteers. Kathie's experience spans all facets of fundraising with specialized focus on major gift fundraising and individual giving. The Fundraising Fluency Blog shares useful fundraising tips each week. Sign up to receive fundraising tips each week in your inbox! As a bonus, you'll receive Conquer Your Fear of Asking for Money, a step-by-step guide, for free! Copyright © 2013-2015 Arroyo Fundraising, LLC. All rights reserved.